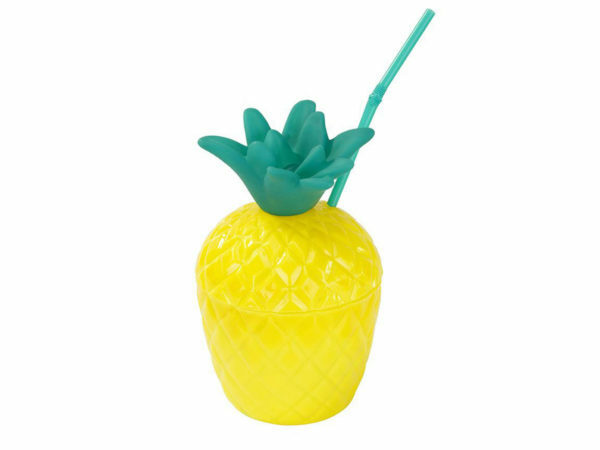 Serve your guest their fruity drink in this Plastic Pineapple Cup with Straw by Talking Tables. This pineapple-shaped cup will have your friends and family feeling tropical on a hot summer day. The cup is 6.50" x 3.50" in size. It holds approximately 0.48 ounces of liquid.